Below is a sampling of updates from the September 2016 Economics Newsletter. To read the full newsletter, click on the thumbnail to the right. Welcome to our fall newsletter, the first in our move to a biannual newsletter. The past academic year saw the department continuing to build on its success. Our undergraduate and graduate programs continue to grow. We saw 148 students in the Columbian College graduating with an economics major. We also had 18 students successfully completing their PhD dissertations. Doctoral students on the academic market received tenure-track appointments in institutions with strong research programs. Those on the non-academic track also obtained excellent placements (World Bank, IMF, Federal Reserve Board, Bureau of Economic Analysis etc.). We are really very proud of our 2016 graduates! We are also very proud of our faculty, current students and alumni. The items in the newsletter list some of their accomplishments. We wish you the best for the coming academic year. 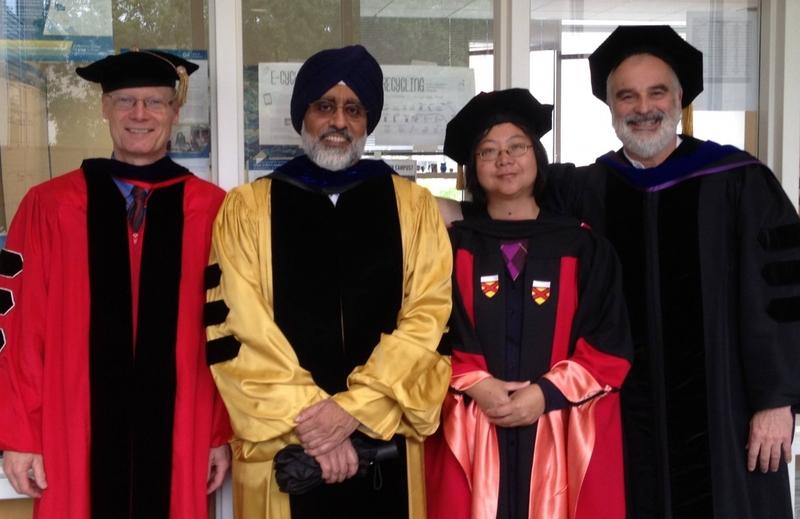 Photo: Professors Stephen Smith, Arun Malik, Chao Wei, and Fred Joutz, at a graduation ceremony. Christopher Varvares, BA ’77 senior managing director and co-founder of Macroeconomic Advisers, LLC, delivered the spring 2016 Economics Alumni Network Lecture. 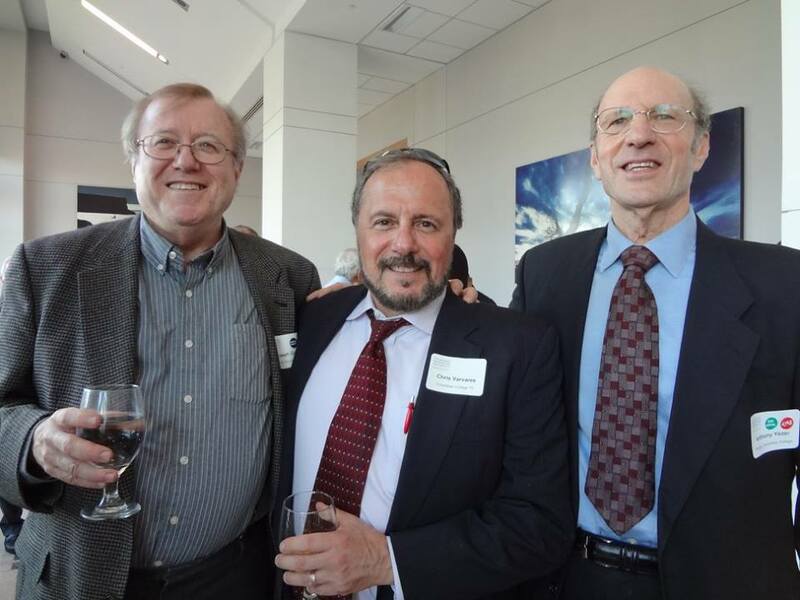 In 1982, he teamed with Joel Prakken and Larry Meyer to form what would become Macroeconomic Advisors, one of the foremost economic forecasting and consulting firms. Today the firm provides forecasts and analysis that are used in business, academia and the popular press. In a presentation that was both lively and informative, Chis discussed both his most recent forecasts and the sources of uncertainty going forward because of the difficulty of understanding departures of recent investment behavior compared to historical determinants of investment. The Economics Alumni Network Lecture includes a reception prior to the talk which this spring was attended by close to 70 alumni. Photo:Chris Varvares (center) with Joe Cordes and Tony Yezer. Will Larson, PhD ’11, returned to campus to give a paper in the Herman Stekler Forecasting Workshop. Will has had a really diverse career path thus far. As a graduate student he was an RA at GW, IMF and the U.S. Senate Committee on Finance. He worked as the manager of modeling and forecasting and web analytics for The Washington Post and as a consultant. He was a research economist at the Bureau of Economic Analysis and is currently senior economist at the Federal Housing Finance Agency. In spite of all this employment activity, Will has managed to publish two papers in the Journal of Urban Economics, and one each in Real Estate Economics, Economic Inquiry, the Journal of Monetary Economics, Proceedings of the National Academy of Science and the International Encyclopedia of Housing and Home. Recently he, along with William Doerner and Alex Bogin, have created zip code level measures of house price appreciation for United States cities from 1983 to the present which should be valuable in a variety of economic applications. Professor Irene Foster received the 2016 Robert W. Kenny Prize for Innovation in Teaching of Introductory Economics. Professor Remi Jedwab was promoted to tenured associate professor of economics, and Professor Maggie Chen was promoted to professor of economics. 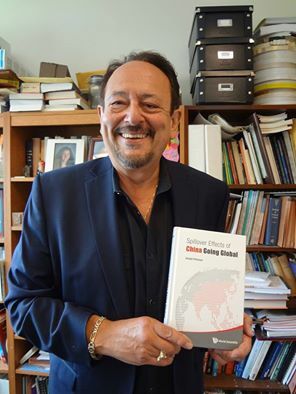 Professor Joseph Pelzman has published another book! Pre-order your copy of Spillover Effects of China Going Global at http://bit.ly/2caGw8V. Professor Tara Sinclair was a visiting professor at UT Austin last spring. In June, she gave a keynote talk at Vivid Sydney's Tapping Into Australia’s High Potential Workforce. 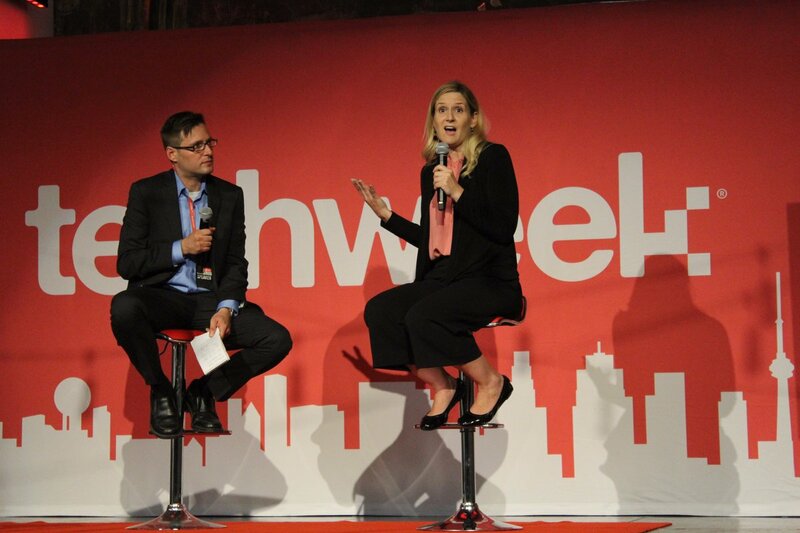 In July, she was the Summit Stage opening speaker at Techweek Toronto: Big Data and Economic Research - The Perspective from a Labor Market Economist. 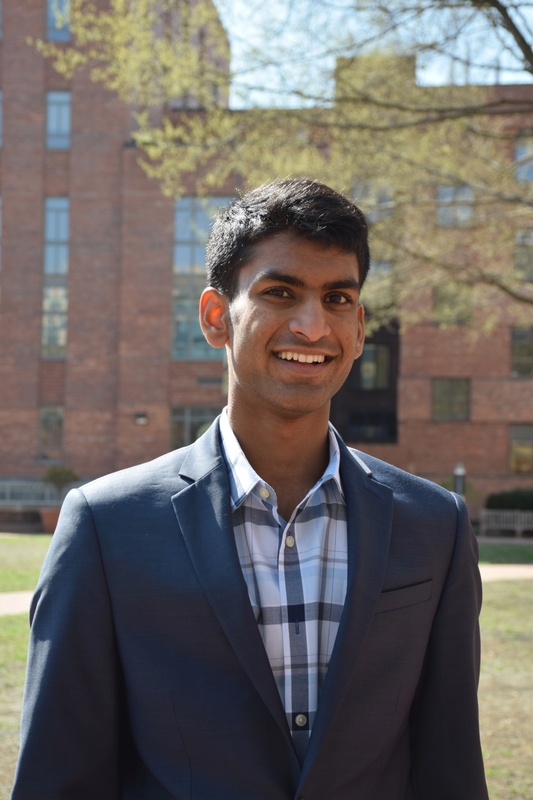 Yeshwant Chillakuru is a senior majoring in economics and biology in the seven-year accelerated BA/MD program at GW. As an avid runner, he saw that the full potential of charity running was not being reached. By working with nonprofits and runners, he and his cofounder, Charles Dorward, created Project Dream Miles to make charity running simple and engaging, allowing runners to raise 10 cents or more for every mile they run. Through the Rhodes or Marshall Scholarships, Yeshwant hopes to pursue master’s degrees in public health financing and management before returning to medical school at GW. He aims to apply his entrepreneurial background to bringing novel, effective health technologies to market and improving public health outcomes. 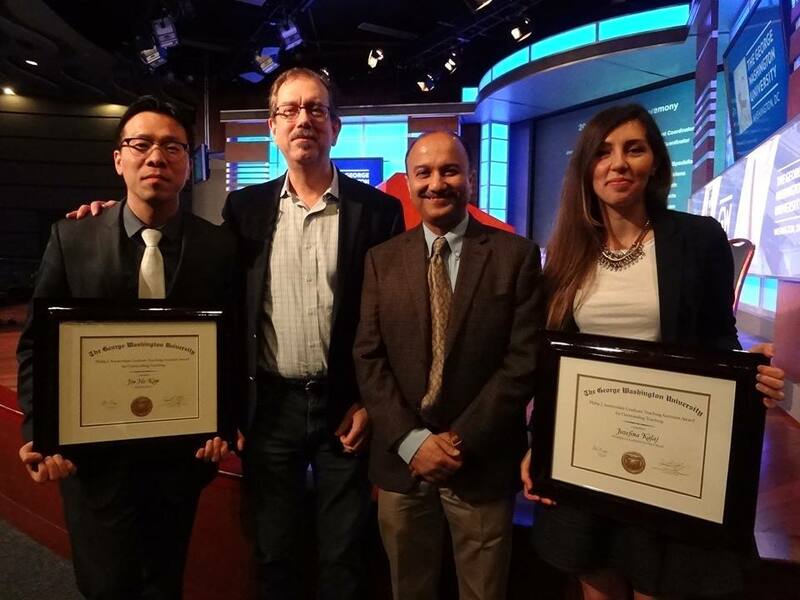 Jozefina Kalaj and Jin Ho Kim and received the Philip J. Amsterdam GTA Award for Outstanding Teaching (shown here with Professors James Foster and Sumit Joshi). 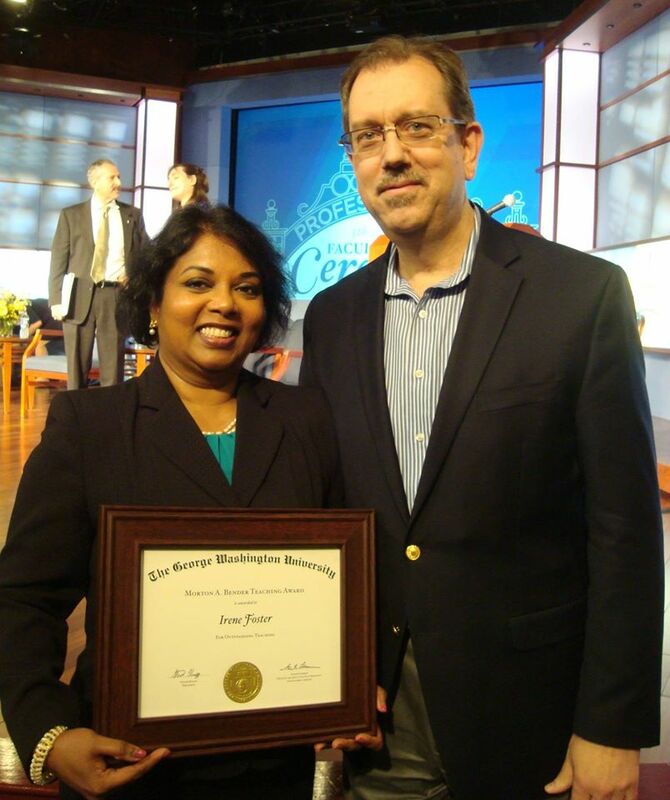 Congratulations to Ryan Jaspal, BS ’14! 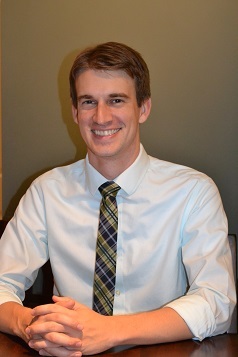 Ryan's thesis has been published in the Undergraduate Business and Economics Research Journal! The applied economics master's program began its second year with more than 40 students enrolled, including around 20 new students who joined the program in fall 2017. Applied economics has proven to be popular among a wide range of students, and the program includes a mix of students who are recent graduates and those with work experience, students who studied in the United States and those who studied abroad and those with backgrounds in economics and other fields. Several new initiatives are underway, including creating joint applied MA-certificate degrees with other graduate programs at GW, developing a partnership with a local business economics organization and expanding course offerings in the applied economics MA program. Save the Date! Please join the department and your fellow alumni on Friday, January 6, 2017, for our second annual alumni reception to be held during the ASSA meeting in Chicago. Cigdem Akin, PhD ’09, is a public management economist at the South Asia Department of the Asian Development Bank in Manila, Philippines. Vikram Bakhru, BA, BS ’01, is currently living in San Francisco working for a venture-backed telemedicine company called First Opinion. He is also still involved in patient care at UCSF Medical Center. If you happen to be in the Bay Area, feel free to get in touch! Daniel Barkan, BA ’84, after a 25 year career on Wall Street trading currencies, interest rates, credit and equities at Bankers Trust, Soros Fund Management and Deutsche Bank, is now a global macroeconomic adviser to funds, banks and leveraged finance groups around the world. Martin Baum, BA ’82, just had his oldest son Alex enter GW in the Class of 2020. His wife, also an alumna, is proud of the next generation. Richard Belous, PhD ’84, is now Rev. Dr. Richard Belous and the senior minister for Unity Center of Tulsa, Okla. He is also an advisor for Unity Worldwide Ministries. David Berk, MA ’81, from 1972-2000: World Bank staff working on Mediterranean countries; China; Africa, especially education and health. 2001-2015: World Bank consultancy (part-time). Since then, he has retired in Washington, D.C., and has been studying again, especially biology. Barbara Berman, BA ’85, is currently working as an economist for the Bureau of Economic Analysis. She has published articles in the Survey of Current Business periodical in July 2013, January 2013 and December 2010. Dilara Bogut, BS ’12, is pleased to share that she will be completing her evening MBA at GW this upcoming fall. Recently, she transitioned out of the World Bank (where she worked for four years) to Bank of America (in D.C.) in the Global Financial Crimes Compliance unit. Steven Brisgel, BA ’85, is a wealth manager with Stifel in Florham Park N.J. He misses both GW and D.C.! Beth Cate, BA ’88, after graduating from Harvard Law School in 1991 and practicing law for 20 years in Washington and Indiana, joined the faculty of Indiana University and is now the clinical associate professor in IU's School of Public and Environmental Affairs. Richard Church, MA ’72, after working for 25 years with the United Nations overseas providing technical assistance in priority national sectors, retired in 1998, and in 1998 joined Habitat for Humanity as executive director in Aiken, S.C., where he is still working. Bob Costello, BA ’76, spent most of his career in financial markets. Also, he has spent a few years on free market limit government projects. Currently, he works with banks in Wyoming, Montana and Illinois. He is on the board of Wyoming Catholic College and lives in the Chicago area. Thomas Curtis, BA ’81, MS ’95, has two new grandchildren, a boy and a girl, who are the light of his life. Not much to report on the way of work. He is still doing portfolio management and investments. Lalith DeSilva, MA ’79, PhD ’85, retired from teaching undergraduates at Mount Vernon College and consulting for the U.S. Departments of Labor and Housing and Urban Development as a vice president of Planmatics Inc. He is now having fun doing yoga, reading and gardening. Jessica Franklin, MA ’79, is a proud retiree from 37 years of providing affordable housing at the national and local levels. She can boast off more than two dozen projects around the country and in the District of Columbia where she had a hand in creating and/or preserving units. Susanne Furr, MA ’68, ’71, is retired in The Villages, Fla., and active in the DAR. She taught economics at several universities including Virginia Tech, Roanoke College and Clayton State University. She had a full career in the Federal Government and is a graduate of the Federal Executive Institute. William Harley, BA ’79, MS ’81, retired from USMC in 1995. Retired post-military employment – 2014. He is currently living in Weston, Mass. Monica Huddleston, BA ’75, worked from 1975-2000 at Southwestern Bell/SBC (now ATT); retired in 2000 as director-Central Office Operations, Eastern Missouri; elected Mayor of the City of Greendale, Mo., 2003-2007 and again 2011-2015, but retired from that now, too. She is volunteering a lot. Nayantara Jacob, BA ’14, had been working in transfer pricing at Deloitte India, and she is now leaving for graduate school at Columbia University where she will be doing a master's in international affairs. Denis Jacques, BA ’61, attended the University of Michigan Law School, NYU Graduate Tax Law, served as IRS estate tax attorney in San Francisco and retired in 2002. 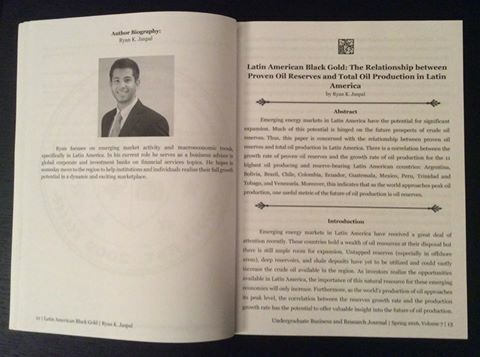 Jairo Lamatina, BA ’08, is an associate at Skadden, Arps, Slate, Meagher & Flom LLP, São Paulo, Brazil. Hongyan Liu, MA ’04, is living in Beijing, China, working in a private equity firm. Matt McGauley, BA ’02, is redeveloping seven buildings in Chattanooga's downtown Innovation District. He has attracted many creative and tech-based tenants to his properties, most notably OpenTable (The Priceline Group, NASDAQ: PCLN). Gerald Miller, MA ’87, has enjoyed his career as a management consultant, including 20 years at Deloitte, two years with a smaller firm and as an independent consultant to healthcare and life sciences clients. He has two sons in college and a third in elementary school. Masao Nakamura, MA ’79, after joining with the Development Bank of Japan for 44 years, retired from there three years ago. He now enjoys physical exercise in gym and painting, together with global volunteering! Greg Nelson, BA ’78, is office chair of the Houston office of Paul Hastings, LLP,. He is vice chair of the Board of Directors of Houston Methodist Hospital. Kirt Nilsson, BA ’92, is currently chief operating officer of Charter School Capital, a company that finances charter schools nationwide. Amirdara Novini, BS ’14, started a new position in Fannie Mae's Single-Family Mortgage Business as a customer account risk manager. Troy Quast, BS ’95, joined the University of South Florida College of Public Health in August 2015 and is an associate professor in the Health Policy and Management Department. Virginia Robano, PhD ’12, is a lecturer in development economics at Sciences Po, Europe-Asia programme. She also teaches introduction to microeconomics. She continues to work as an external advisor to the OECD. Ami Rodrigues, BA, BS ’05, is now a cybersecurity and data privacy attorney at The Coca-Cola Company in Atlanta, Ga. She and her husband welcomed their son, Nikolai, into the world in August 2015. George Santopietro, BS ’78, was appointed assistant provost for academic operations at Radford University, Radford, Va.
Erin Saulino, BA ’00, for the past 12 years, has worked in financial market regulation, starting out in the Philadelphia Stock Exchange while attending law school at night. Currently, she is an assistant director at FINRA in the Options Regulation Department. Caleb Seavey, BA ’12, in his last year of medical school at GW and will be entering a general surgery residency program in June of next year! Aaron Shutzer, BA ’05, is working at Global Infrastructure Partners. William Snow, Jr., MA ’70, PhD ’76, retired in 2006 after 19 years in his position as treasurer of Johns Hopkins University. Prior to Hopkins, he was a senior economist at Communications Satellite Corp. in D.C. for 17 years. In retirement, he is an artist, and he teaches English as a second language. Daniel Uslander, BA ’77, spent the vast majority of his years since his GW graduation working in the derivatives/futures space. His most recent efforts are concentrated in corporate foreign exchange and industrial metals. Sahar Zomorodi, BS ’07, worked as a transfer pricing analyst in the private sector for four years, followed by a similar position at the IRS for two years. She attended law school in the evenings while she worked. She took a position at a law firm in New York as a tax attorney two years ago.